Whichever side of the fence you’re on, run off your frustration on Brexit day and at least get a medal for all your worries. 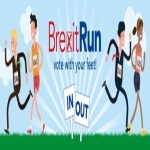 The idea behind Brexit Virtual Run is to encourage everyone, no matter your views, to come together and run on Brexit Day to enjoy the world for what it is. 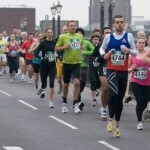 Run any distance to satisfy your Brexit angst or to forget about it completely. Submit your race evidence to the aat-events Strava club or email (virtual@aat-events.com) and we’ll post out your very much deserved medal.